As with any art, wildlife photography takes a good dose of inspiration, luck, and skill. But if you’re new to the hobby, finding that inspiration and the advice you need to get started can’t prove difficult. Which are the best websites to visit on the web? Which sites will offer genuinely useful advice? Which photographers will really inspire you? 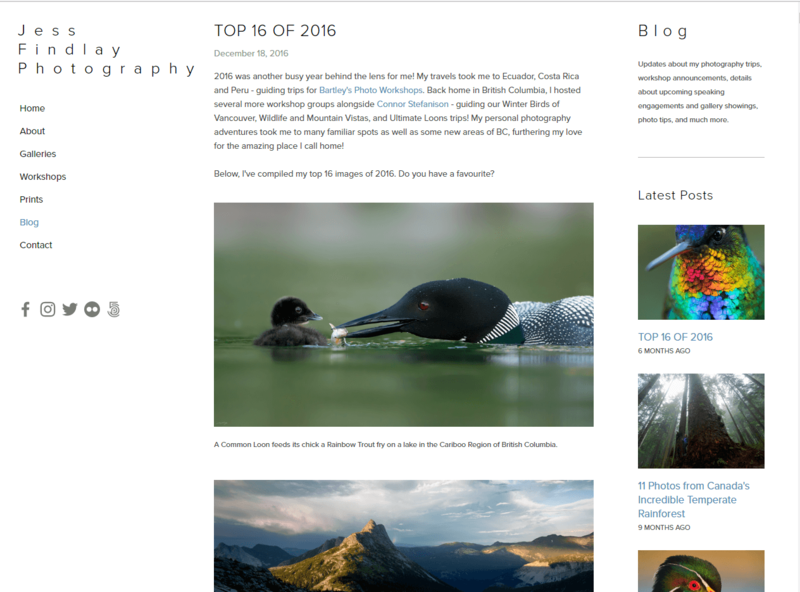 To help you grow your budding enthusiasm at Tusk Photo we have put together our favourite 30 Wildlife Photography blogs of 2017. They aren’t in any particular order, but please do browse the sites below. We promise you won’t be disappointed! If you’re looking to find the home of some of the world’s best wildlife photographers online, look no further than the Wildlife Photographer of the Year’s blog. They regularly take guest posts from up and coming and established photographers from around the globe, showcasing the best of their work. 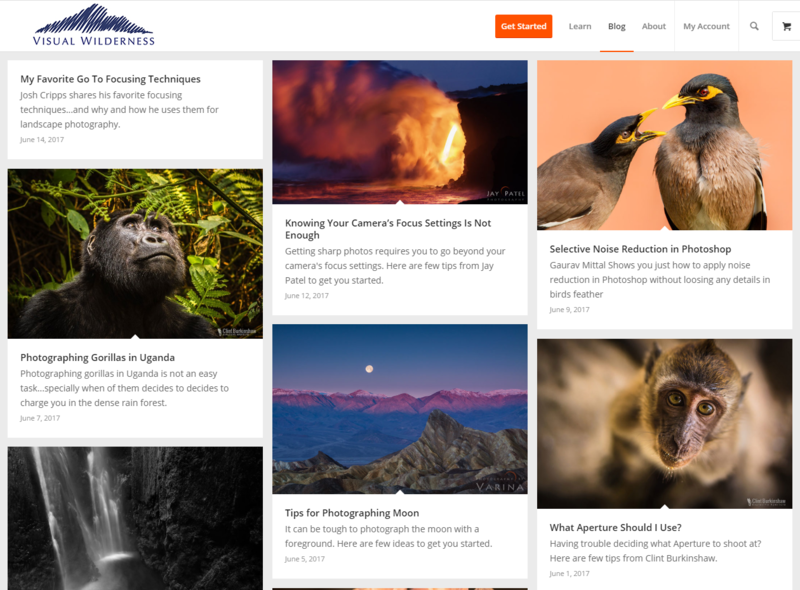 While it isn’t strictly just about Wildlife Photography, Photoblog is a site that every keen wildlife photographer should be checking out. 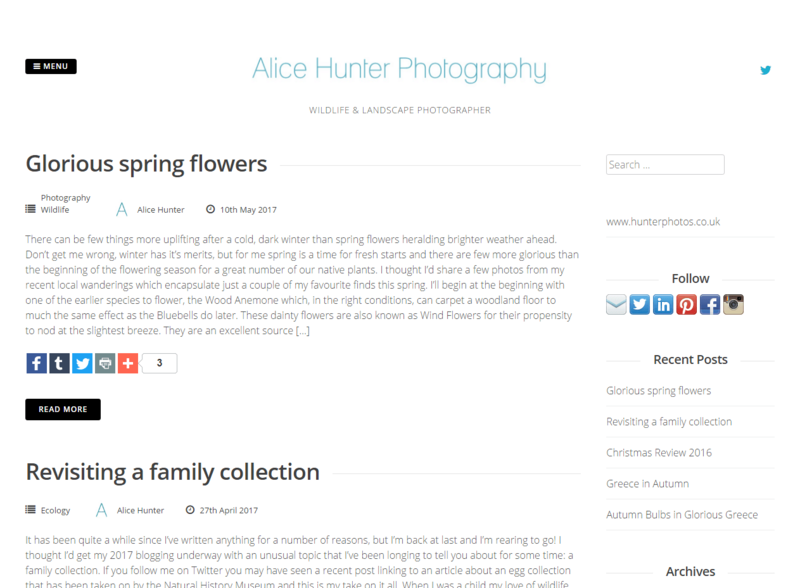 It allows you to create you very own photo blog, on which you can showcase your work, completely free of charge. 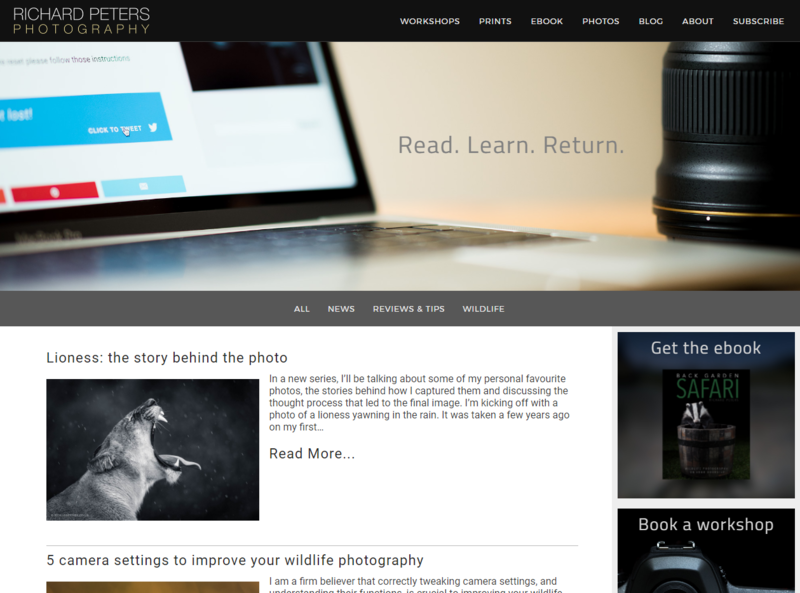 The ‘learn’ section is packed with full of helpful advice for all photographers, too. 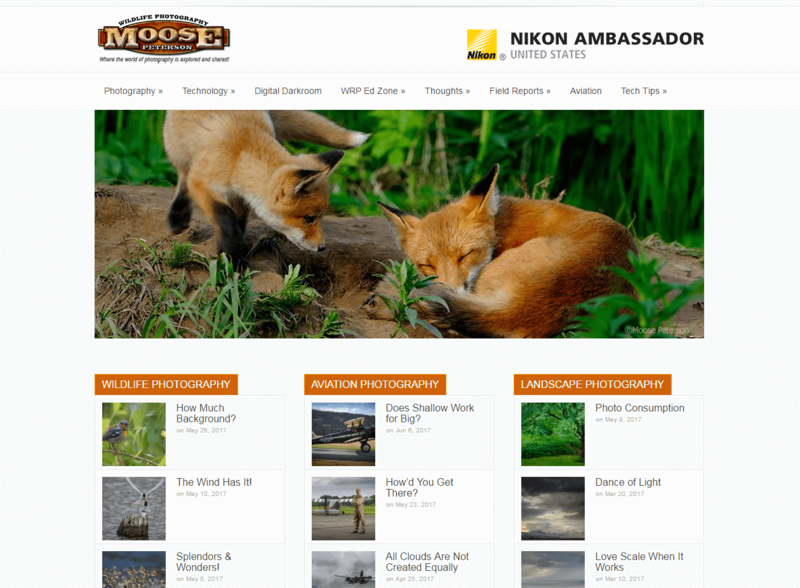 Moose Peterson and his wife have dedicated their lives to photographing endangered wildlife since 1981. The aim? To educate the public about the issues facing many of our favourite animals every day. 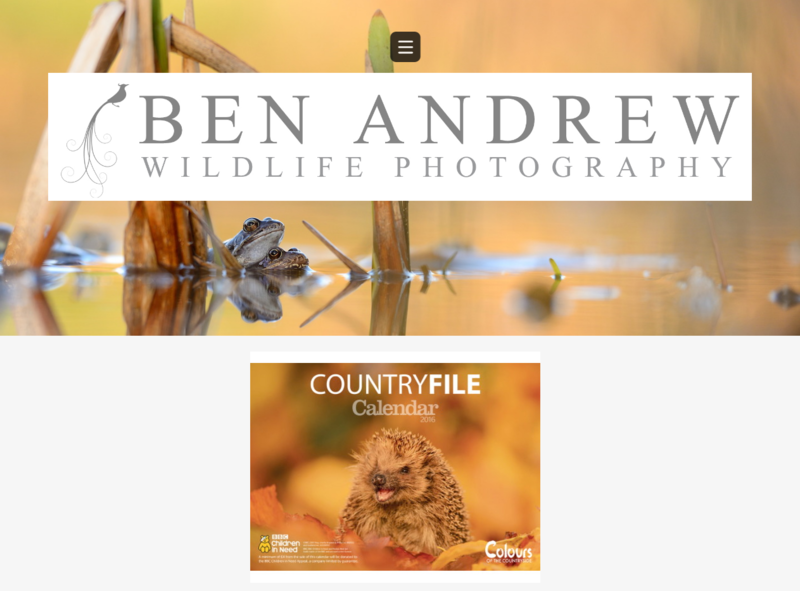 The blog is full of inspirational images, tips on getting to know your camera, and how you can help your local wildlife. 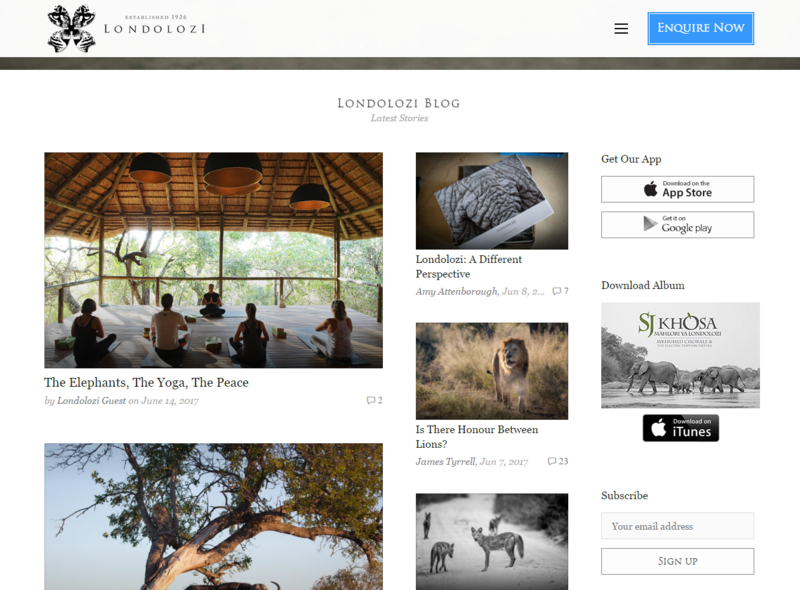 If you are on the hunt for a blog in which you can immerse yourself into the African wildlife, then look no further than Londolzi. 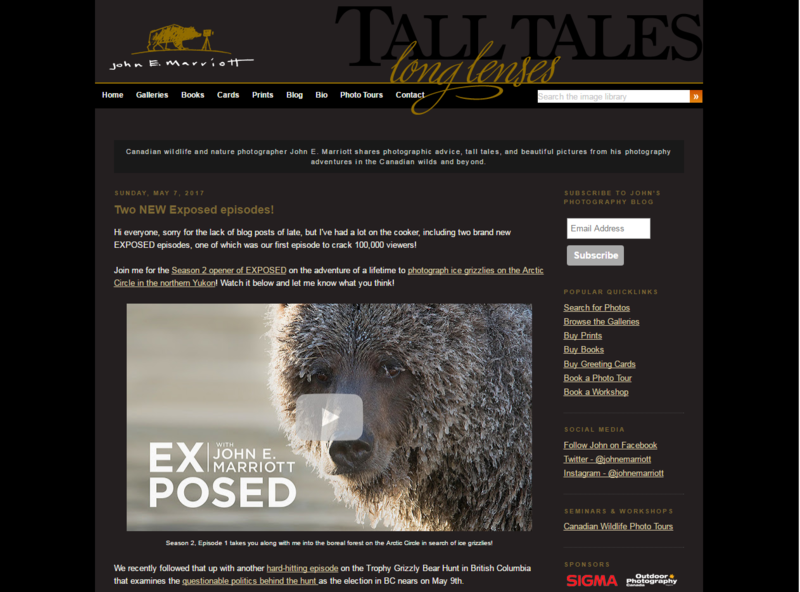 The site covers stories daily of everything from the Leopards of Londolzi, the lion prides, photographic journals and so much more. Run and authored by a young and passionate wildlife photographer, Floris Van Breugel, Art in Nature Photography journals his outdoor experiences. His breathtaking images are sure to inspire your own work and will hopefully motivate you to journey into your own landscape, learning both its history and what is required to preserve it. A Nikon Ambassador and innovative wildlife photography, Richard Peters’ blog is a haven for those interested in the hobby. He covers everything from stores about how he got some of his best shots to tips and advice on how you can get the most out of your gear. Get inspired and enjoy Matthew Maran’s vast array of wildlife and nature images. 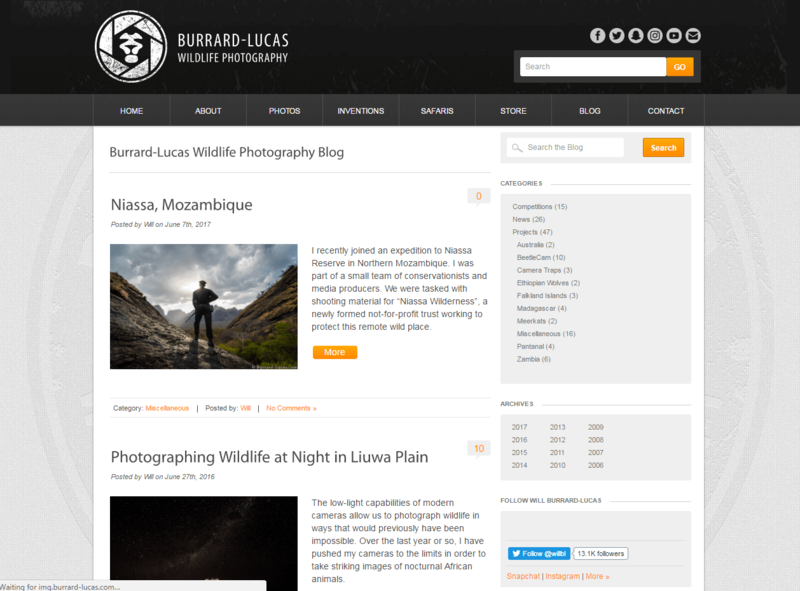 His blog is jam packed with stories from his day to day life working as a wildlife photographer across the globe. He even captures some of his adventures on video! Want to learn from some of the best photographers out there? Visual Wilderness’ contributors can help you get to grips with some of the basics of wilderness photography. 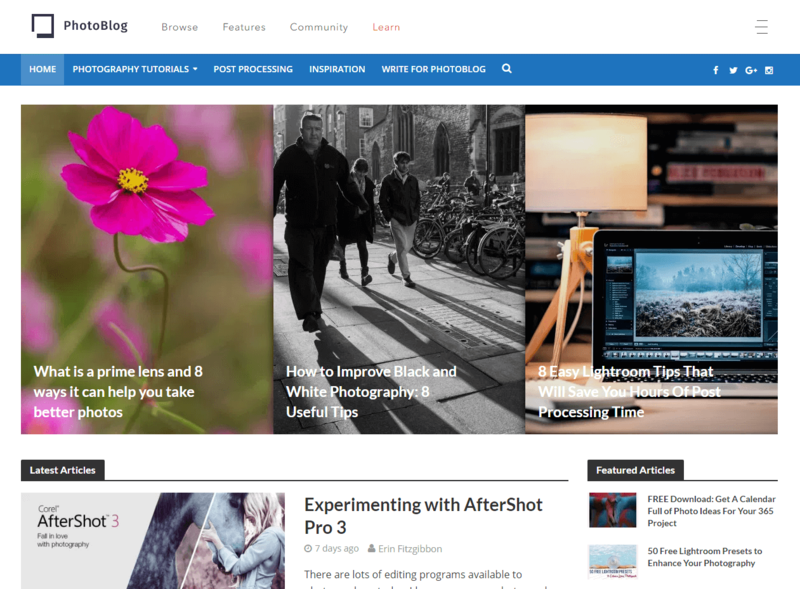 Their blog covers everything from composition to quick tips to help you capture the best shot going. Run by John E. Marriott is a Canadian wildlife photographer. With a wealth of experience, John offers some of his favourite photographs and tales from his photography adventures. He provides a tonne of advice on how you can better your wildlife photography, too. 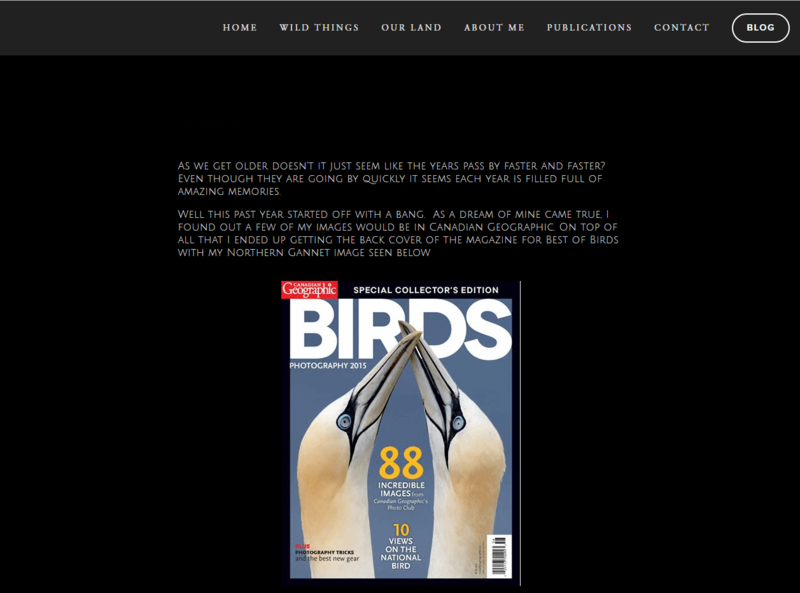 We wouldn’t create a post on wildlife photography blogs without including our own now, would we? 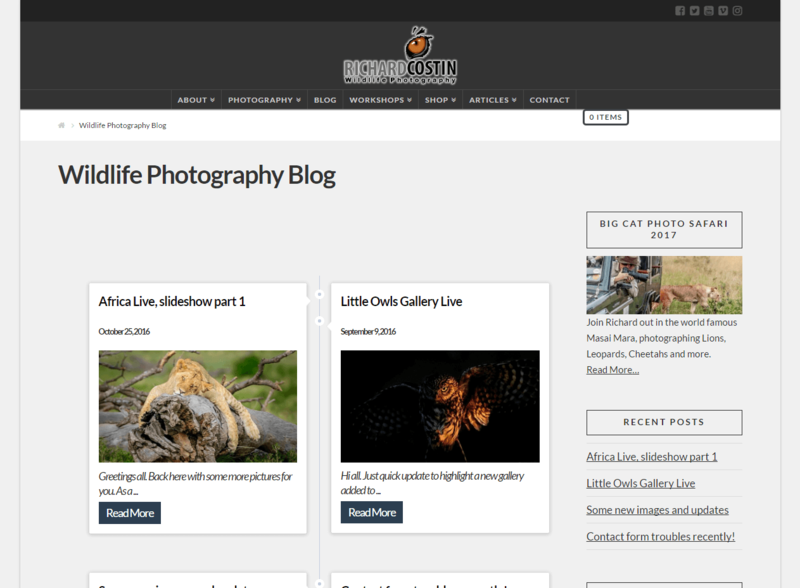 On our blog you can find fun and useful posts just like this one, designed to help amateur wildlife photographers find their feet. And we also regularly publish pieces on our adventures out in the field! 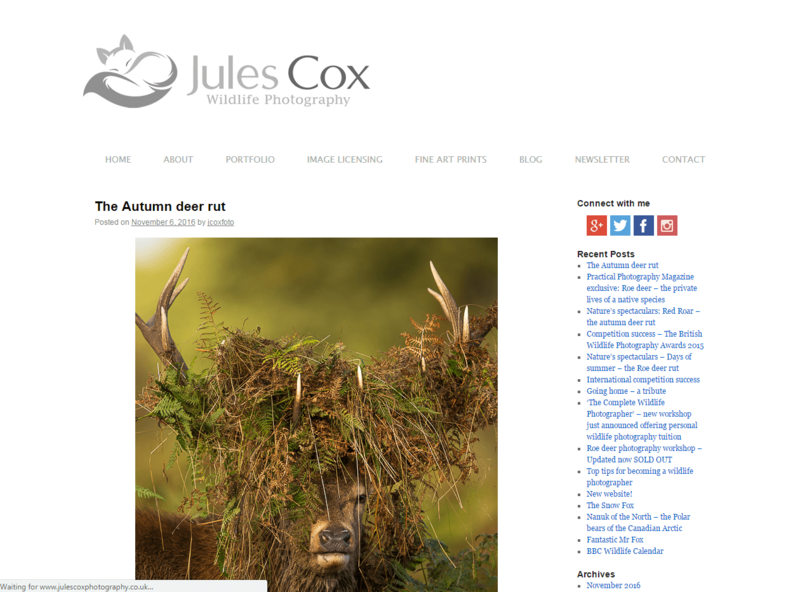 Jules Cox is a wildlife photographer from the UK that captures images of the British countryside like no other. His blog is a real inspiration and takes us through his adventures and some of the best images he captures on each outing (they’re always incredible!). Jess Findlay was raised in Vancouver, British Columbia. 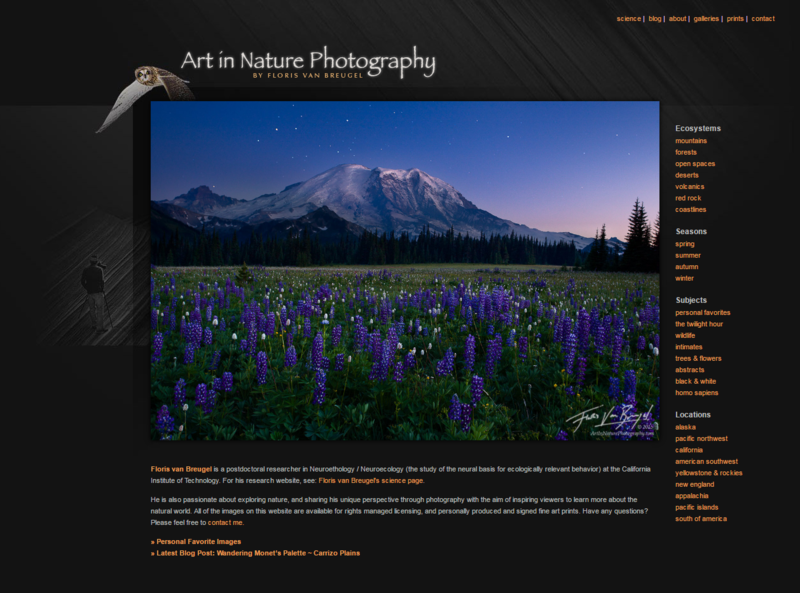 His natural surroundings inspired him to become an avid wildlife photographer from an early age. He’s gone from strength to strength ever since, winning awards like the prestigious BBC Wildlife Photographer of the Year competition. 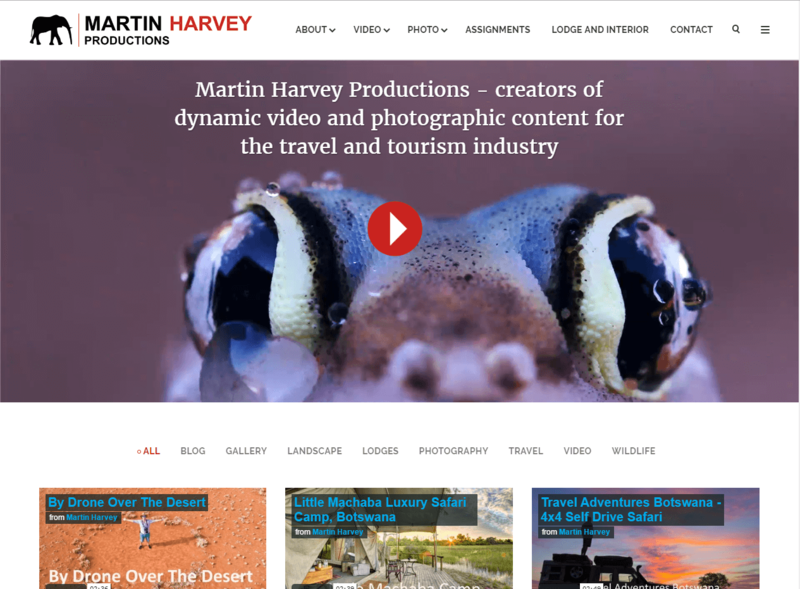 With over 20 years’ experience, Martin Harvey, has created a vast collection of incredible images and videos of wildlife across the globe. On his blog you can keep up-to-date with his latest adventures, journeying with him to Namibia, Kenya, and everywhere else he travels too. Looking at the West is a blog run by photographer Andrew McAllister. He regularly takes expeditions, as the name suggests, out into the American West. His images travel through old American towns, architecture, and to the wilderness, where Andrew’s images truly come to life. 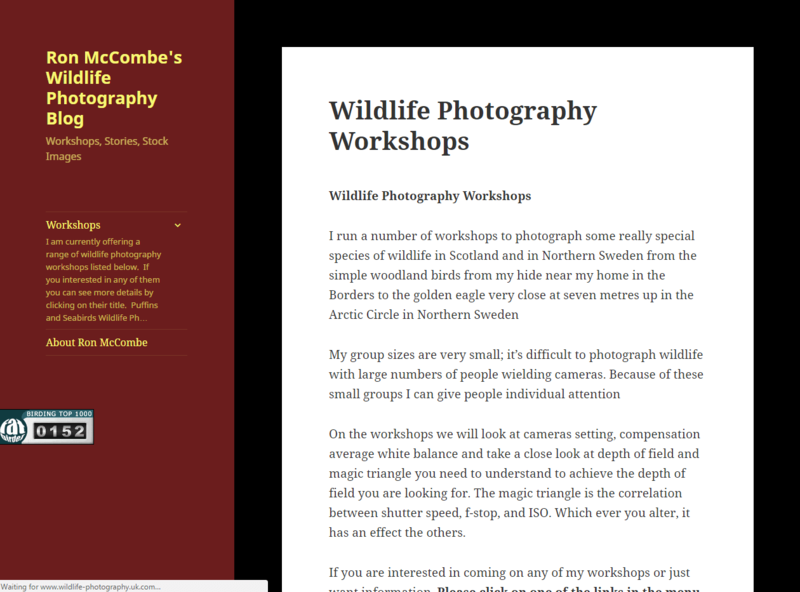 This wildlife photography blog is run by Ron McCombe, a full time wildlife photographer in Scotland. Ron runs a range of wildlife photography workshops that help those new to the hobby capture images of various wildlife known in his local area. 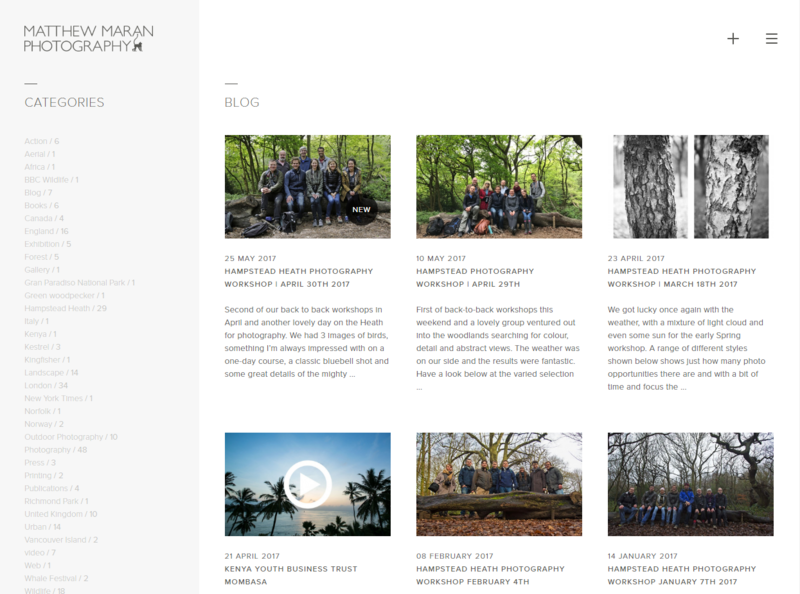 His blog is a great place to keep up-to-date with the latest pictures he’s snapped. Yellowstone is one of the world’s most popular places to visit for wildlife photographers. 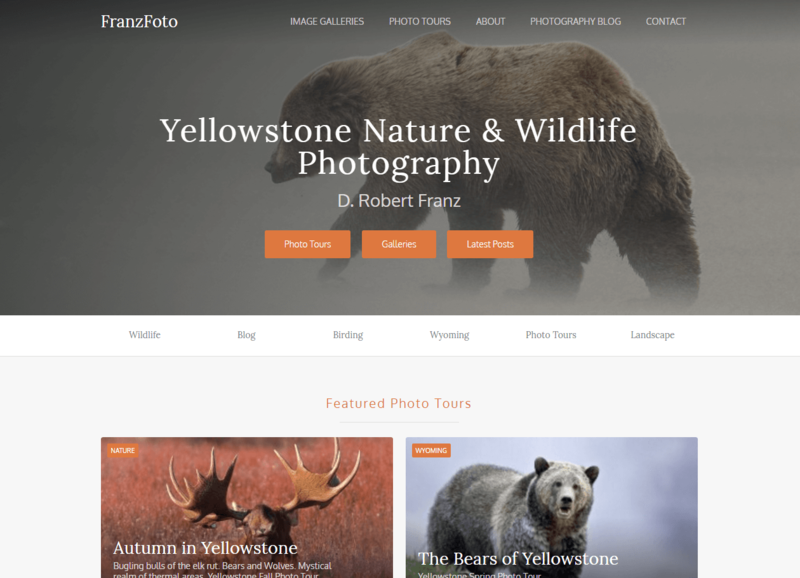 FranzFoto is the home of D.Robert Franz a wildlife photographer who specialises in capturing the incredible, teeming life of Yellowstone. 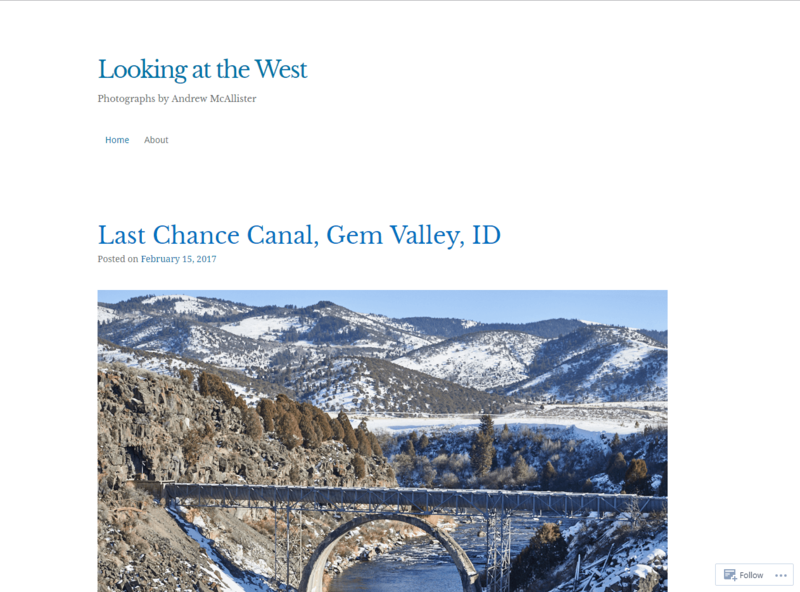 His blog covers his adventures into the wild. Combining images of her local plants and wildlife, Alice Hunter depicts an accurate representation of habitats and nature of every place she visits. On her blog, you can follow her travels across the globe, check out some of her latest work, and read the occasional newsletter. Jim Braswell retired from working pharmaceuticals in 2007. Since then he has been focusing on his passion for wildlife photography, conveying the complexity of the day-to-day lives of each of his subjects. He offers workshops too, where he shares the tricks of the trade he’s learnt over the past ten years. In 2007, Ben Andrew had his first taste of the photography bug and has been dedicating as much time as possible capturing photos of wildlife ever since. He’s won plenty of competitions in that time, too. 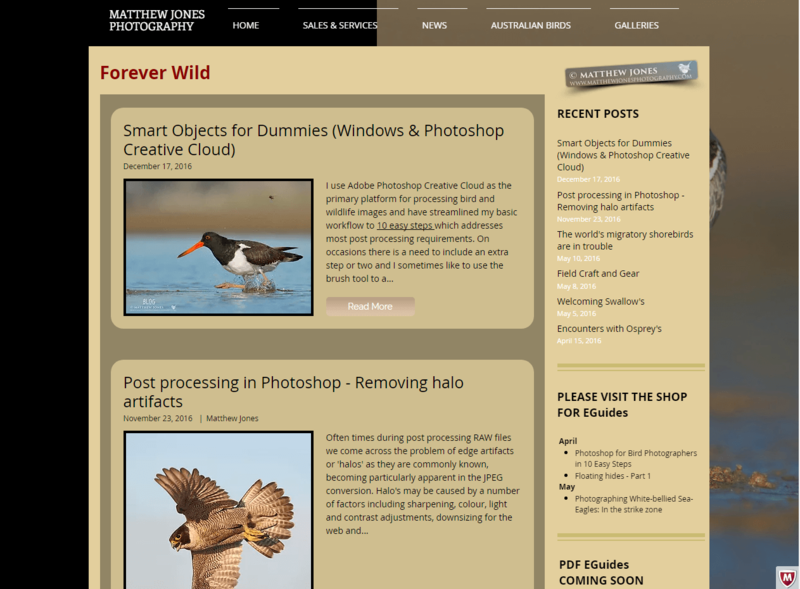 His site is a source of inspiration for anyone else looking to take up the hobby. 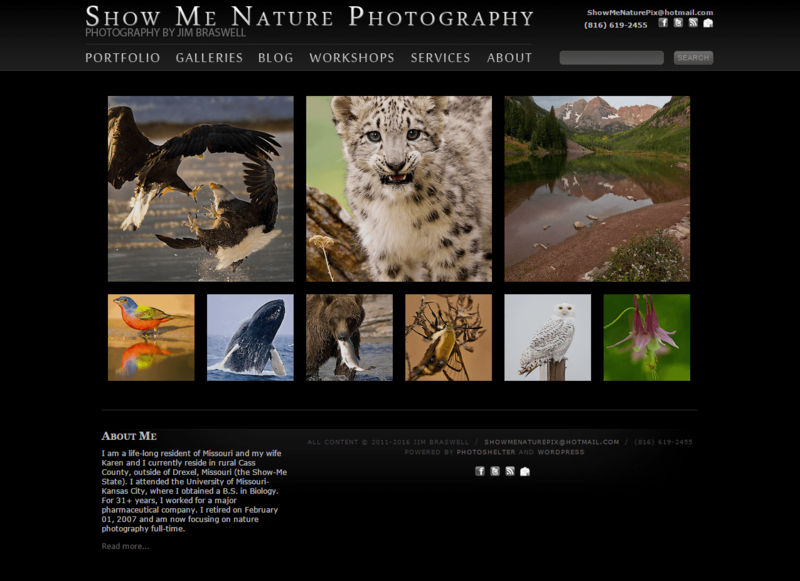 Matthew Jones is a nature, wildlife, and bird photographer. As a photographer he has been featured in prestigious awards such as the Australian Geographic Nature Photographer of the Year. 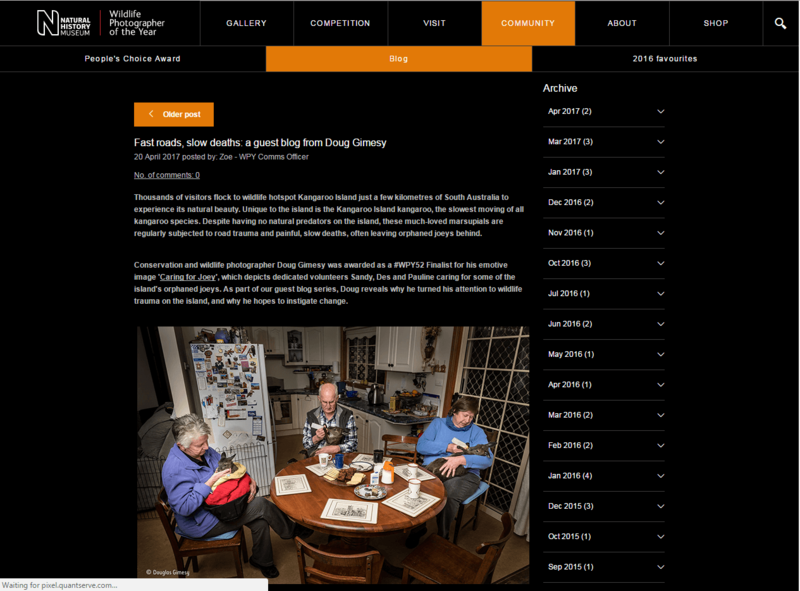 On his blog he showcases some of his latest work. 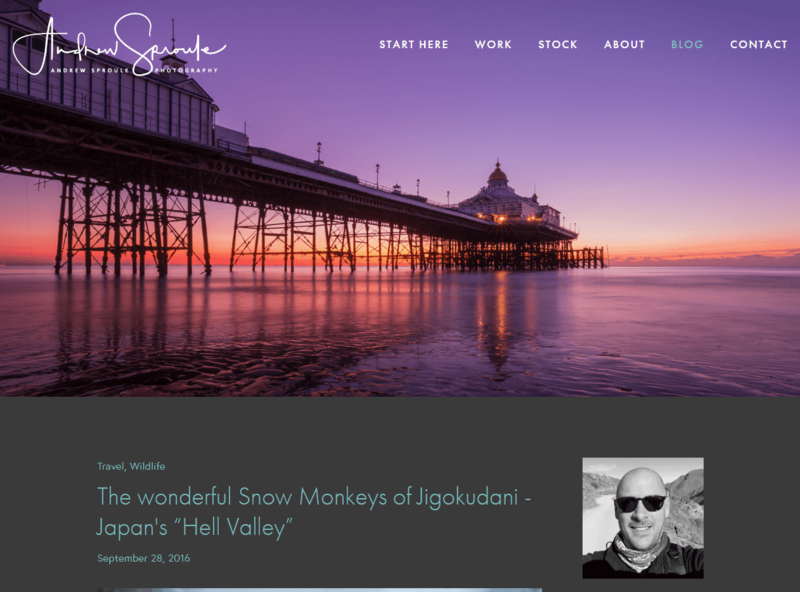 If you’re looking to get inspired before heading out with your camera, Andrew Sproule’s site is the place to visit. 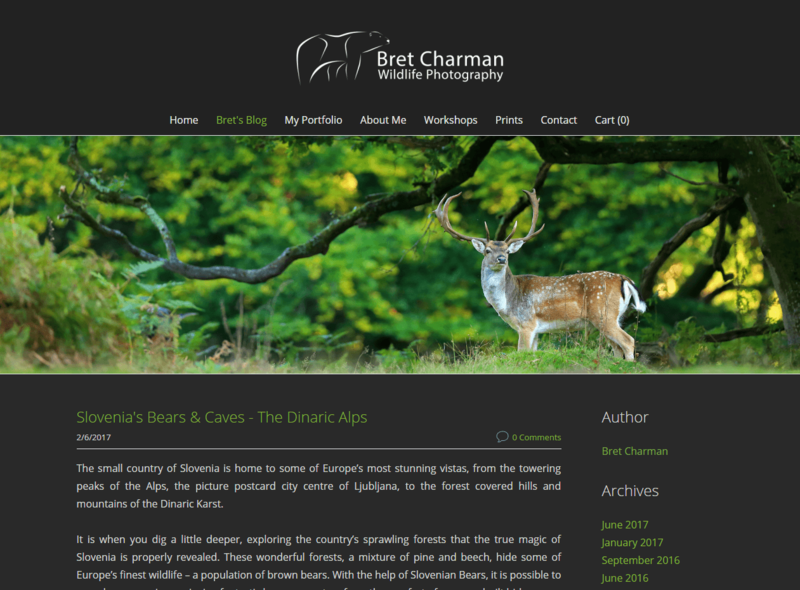 It’s a beautifully designed site that perfectly showcases some of his best wildlife photography work. His blog helps keep you abreast of everything he’s up to, too. Brad James is an incredible wildlife photography hobbyist. With a passion for animals, wildlife, and preservation, Brad sends incredible message through his work. He’s garnered international recognition with his work, too, making his site a must visit. 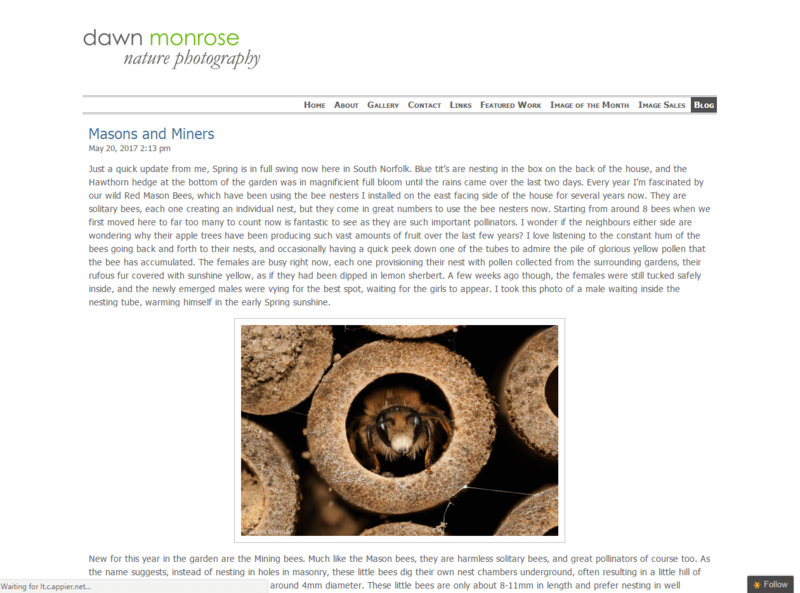 Dawn Monrose, has been a passionate photographer since getting her hands on her first ever SLR as a teenager. Over time she started to develop her own style, a style that’s prominent today in her wildlife photographer. If you’re looking for some stunning wildlife images, look no further. After a brief stint at university studying Architectural Technologies, Bret Charman decided to strike out to Zambia and work in the Safari Industry. He took along his camera, which has, over time, meant that wildlife photography has become his main gig. Richard Costin is a wildlife photographer from the UK. 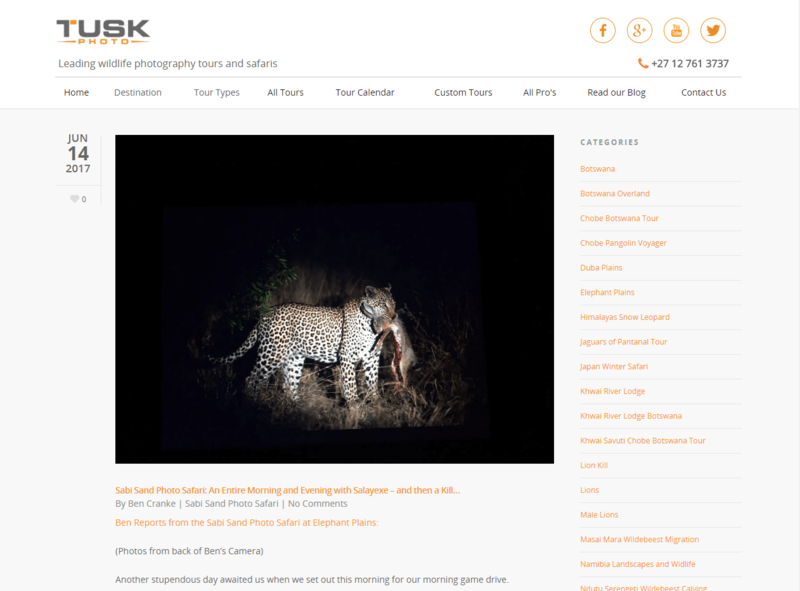 He travels around the globe extensively capturing images of his incredible wildlife experiences. On his blog you can keep abreast of everything he’s up to, including checking out some of the latest images he’s captured.